Members, I wanted to write to you personally regarding pay for 2018 and the publication on Monday of the Treasury remit guidance. I recognise that not all members are covered by the remit guidance, but the majority are, and the outcomes will have either a relevant context or direct impact for almost all of our members. Yesterday, alongside Mark Serwotka, General Secretary of PCS and Mike Clancy, General Secretary of Prospect, we met with David Lidington, Minister for the Cabinet Office, and Oliver Dowden, Parliamentary Secretary for the Cabinet Office. Our single focus for this meeting was the shambolic and contemptable consultation process on the 2018 remit guidance. We made clear to the ministers that the three unions had a united position, both in terms of our anger at the lack of meaningful consultation and in our single demand that the remit guidance be withdrawn and a fresh consultation process begun. In any circumstance, the failure to consult meaningfully, the reneging of commitments on meetings and the lack of ministerial engagement, would have led us down this path. But, as we repeatedly indicated at the meeting, the context of 2018 - where across the public sector employers are working constructively with unions to deliver a meaningful outcome to the lifting of the pay cap - exposes ever more vividly the failings within the pay structure for the civil service. We were clear that as Minister for the Cabinet Office, Lidington had to be accountable for the outcomes on pay for the civil service and be judged by how those outcomes compare to those across the public sector. As I said at the meeting, public servants in the NHS and the Department of Health are both necessary for the delivery of quality healthcare to UK citizens, but the Government has decided to value them very differently when it comes to pay. This is only one of many examples where those delivering key public services will be treated very differently from those in the civil service. This cannot be allowed to continue. The Minister has agreed to respond in writing to the three unions and did not make any commitments. One of the many difficulties with negotiating pay in the civil service is the myriad of responsibilities between the Cabinet Office, Treasury and departments. Power and accountability do not always sit side by side and the ability to influence, even at ministerial level, is complicated. Our point to the Minister is that outcomes are what matter; his job as the Minister responsible is to deliver a better outcome for the civil service and overcome obstacles, whether they be political or organisational. As General Secretaries, we have agreed to continue working as closely as possible on these issues for the common good of our members. Each union will clearly have to determine their own objectives and strategy for delivering them. Whilst we may disagree at times on these, we are committed to an honest and open dialogue to explore where a united approach can be achieved and I’d like to thank Mark and Mike for the collaborative approach that was evident to the Minister yesterday. Whether the remit guidance is withdrawn or not, in every negotiation we will be demanding that employers use every opportunity that exists to maximise the outcome for members this year. 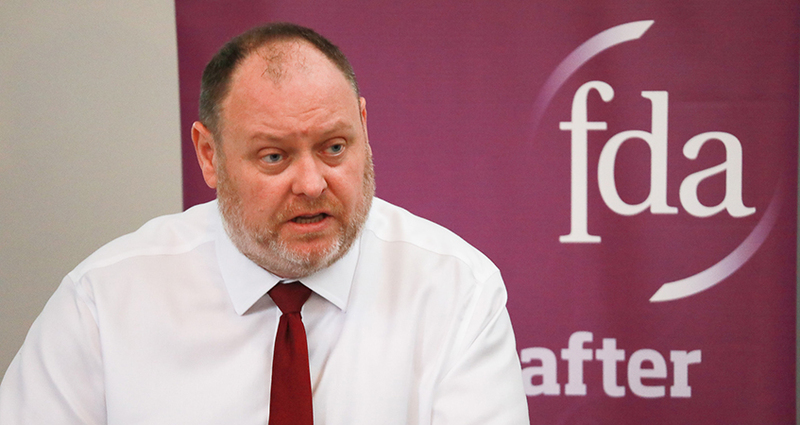 Employers have had nine months’ notice that the pay cap was being lifted and they should have been planning to use the flexibilities they knew would exist. For all its imperfections, and there are many, the remit process allows for departments to make a business case for higher awards. Ministers need to understand that they are accountable for the outcome in their department. A number queued up last year post-election to say the pay cap should be lifted; now it has, they need to make good on those sentiments. We have organised a series of briefing sessions for reps to co-ordinate our approach to pay negotiations this year and will be in touch shortly about further campaigning activity you can be involved in. We do not yet have a date for publication, but all indications are that this may well follow soon, given the publication of the remit guidance for delegated grades. We cannot predict what the SSRB may recommend, but clearly the Government’s approach to pay for the delegated grades may well signal an approach that would be applied to the SCS. As soon as we have any details we will let members know.